I love the sweet sounds of a Carolina Wren (Thryothorus ludovicianus), like this little beauty that I spotted on Wednesday at Occoquan Bay National Wildlife Refuge. 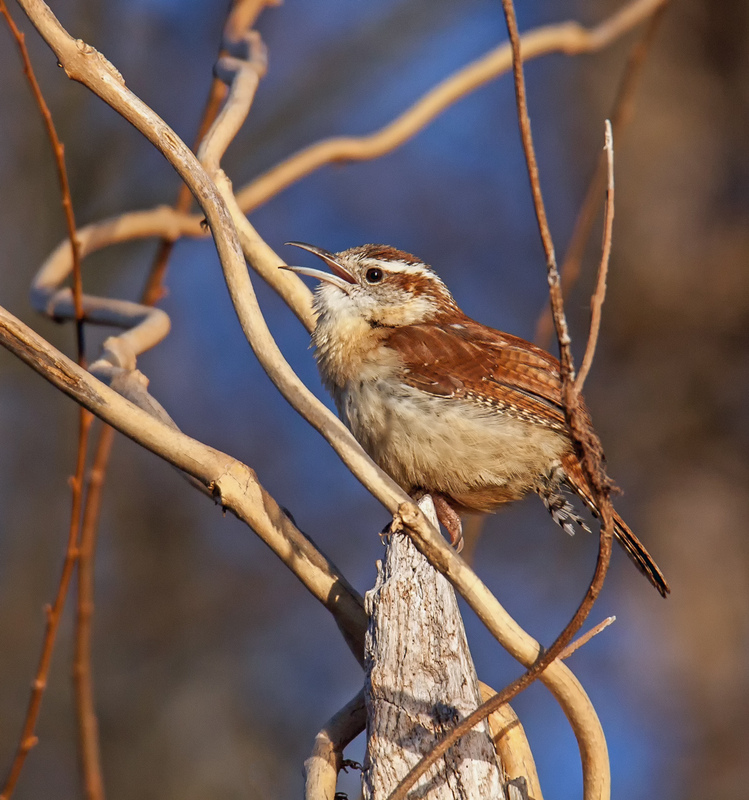 Most of the times when I see a Carolina Wren, it is hopping about in the underbrush, but sometimes when they are going to sing, they choose a higher, more visible perch. Beautiful portrait. I love the parted beak and the detail of the plumage. I also really like that bold blue streak of blue in the background to complement the browns. I heard one of my neighbours whistling a conversation with a bird yesterday-it was amazing! Great capture of this cute bird in full song, Mike!